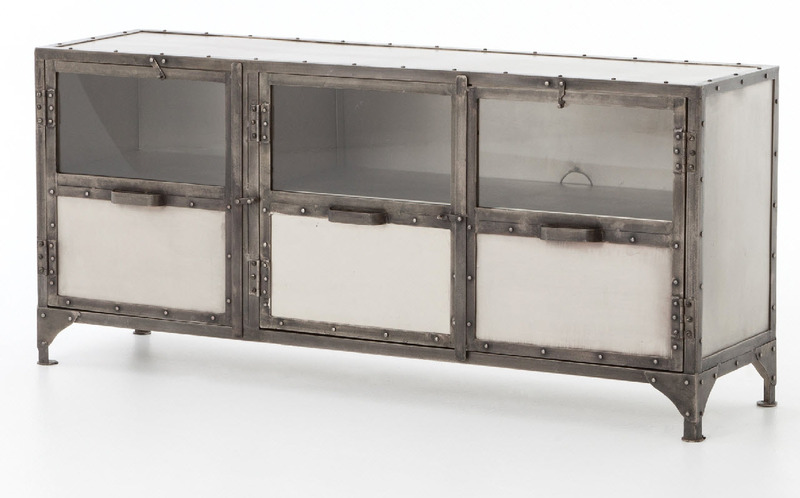 ELEMENT MEDIA CONSOLE-NICKEL/ANT NICKEL - An industrial-strength console offers an intriguing home for modern media. Dark iron frame contrasts with antiqued nickel panels. Construction marks add to the character of the piece. H 27" x W 60" X Depth 16"